We offer one day visit to Nusa Penida’s most prominent dive sites where you will discover just about anything from to pufferfish, clown triggerfish, bluespotted stingrays, lionfish, moray eels and angelfish to the great mola mola, manta rays, reef sharks! Have the option to do 2 dives or 3 dives in this tour but note that you would need to stay on the boat for the other divers finish their last dive. Ready to book your Mola Mola Day Trips? Get in touch with us today! Make the most of your holiday in Bali on one day mola mola trip. There are few dive sites in this planet that can boost your luck to encounter the magnificent Mola. 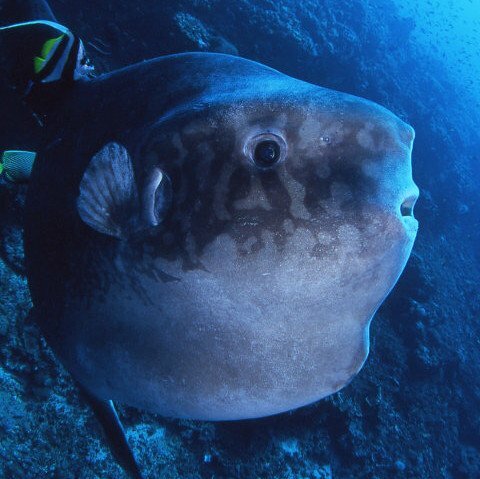 See our about Bali Sunfish page for all the best information about these amazing creatures. Expert guides welcome experienced marine enthusiasts to enjoy this trip. Your one day mola mola trip begins in the morning from our dive shop in Sanur. After all the paperwork and setting up the equipment, step aboard to our high-speed vessels which holds a maximum 15 people including guides. There will be other people on our overnight dive packages join the boat too. On the way to this island, your guides will help you to get your diving equipment ready and provide instruction. At the end of the one-day trip, our drivers will transfer you back to your hotel. Please note that all diving sites in these One Day Mola Mola Trip are subject to changes to weather conditions and moon phases. All of our trips are led and guided by our experienced team of PADI Divemasters and Instructors. We can’t wait to show you what Bali Diving has to offer! We keep our diving ratio’s at 4 guests to one guide – so that you get the best, safest experience here in Bali! Ready to try out some different Dive spots in Bali ?